Arbitration is a private alternative to litigation. It is a determinative process in which parties refer their dispute to an independent third party for a decision (an “award”). Unlike mediation and negotiation which are non-binding facilitative processes, arbitration necessarily results in a final and binding determination by a sole arbitrator or an arbitral tribunal consisting of three arbitrators. The arbitration agreement or clause is generally contained in the contract of the parties to the dispute. In some cases, but more rarely, parties may enter into an arbitration agreement after a dispute has arisen, rather than litigate. The arbitration agreement is of utmost importance in arbitration. It is often said that arbitration begins with the clause. When drafting contracts, special attention is required to ensure the viability of the arbitration agreement. It must at least be in writing, unequivocally refer the parties to arbitration, indicate the seat or place of arbitration the language of the arbitration (for international disputes), the number of arbitrators, the proper name of the institution if one is chosen to administer the process or appoint arbitrators and any applicable procedural rules. The latter are different from the substantive law or the law governing the actual contract. The cornerstone of arbitration is party autonomy. By choosing the arbitrator and the rules, the parties have greater control of the process, which is less formal than litigation. The rules of procedure are less strict and there is no requirement to comply with rules of evidence. It is also possible to limit discovery and the length of the proceedings and hearing. A qualified arbitrator can conduct the arbitration is a more expedient manner, savings costs and ensuring its efficiency. Arbitration can be ad hoc or institutional. The choice of an institution determines the rules, the fees of the arbitrators and affords a varying amount of supervision of the process, depending on the institution. An institution may also be selected solely as an appointing authority in the event the parties cannot agree on the choice of the arbitrator. In ad hoc arbitration, it is recommended to at least choose rules such as the UNCITRAL Arbitration Rules. Another key advantage of arbitration is confidentiality. This is particularly important for commercial parties who do not want their dispute to be public, or have an on-going relationship. 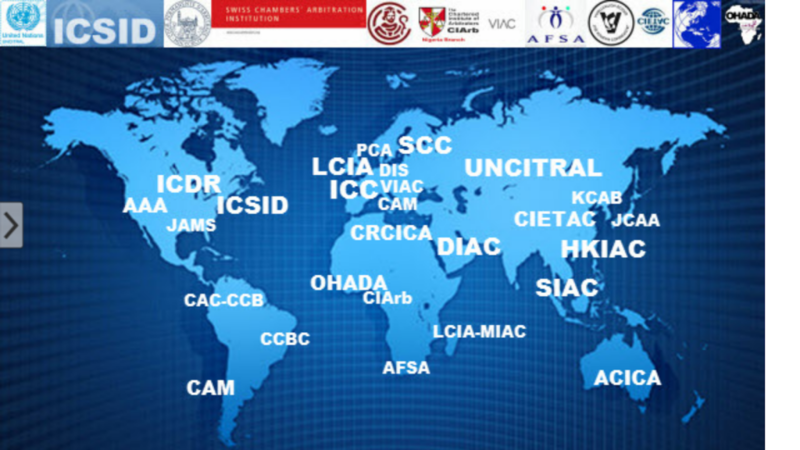 For international contracts or disputes, arbitration is consistently the dispute resolution mechanism of choice, due to the enforceability of arbitration awards. The Convention on the Recognition and Enforcement of Foreign Arbitral Awards (the “New York Convention”). Unlike judgements of courts, awards can be enforced in the 156 signatory countries to the Convention. While arbitration can be cost-effective and afford finality, the award is also non-appealable and may only be overturned under very limited circumstances. To ensure the enforcement of awards – finality – and avoid an additional layer of litigation – efficiency – while protecting natural justice, each country or state has laws that govern domestic and international arbitration. The International Arbitration Act (Cth) 1974 governs international arbitration in Australia, and each state has a commercial arbitration act. In the U.S. the Federal Arbitration Act (“FAA”) and state statutes coexist. Arbitration is an excellent means of resolving disputes, but is vey different from litigation It is critical to have counsel well-versed in arbitration law and procedure to make the right choices at the drafting phase or once a dispute arises. This is even more essential in international arbitration. Donna Ross, a Fellow of the Chartered Institute of Arbitrators, has extensive experience drafting clauses, representing parties and serving as a neutral in commercial arbitration.